Located in the heart of the appellation of Moulis en Medoc, Chateau Chasse Spleen extends over 90 hectares of gravely soil. The Chateau's vineyards are planted with three grape varieties: 73% Cabernet Sauvignon, 20% Merlot and 7% Petit Verdot. 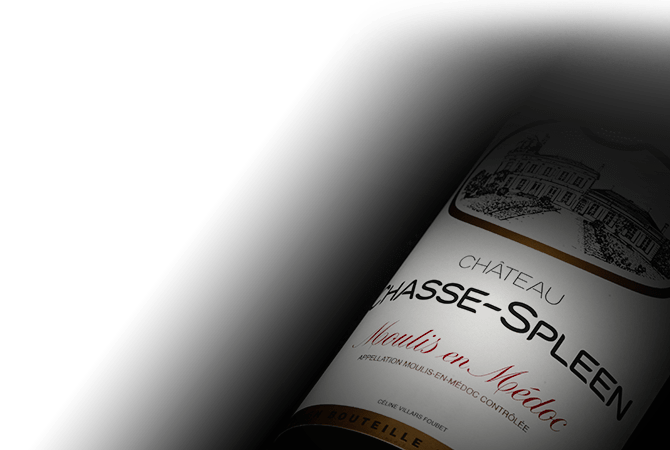 The wines of Chateau Chasse-Spleen are attractive, round, straight and balanced and the Chateau also produces a second wine, l'Heritage de Chasse-Spleen, which is a reflection of the Chateau's first wine.